Richard Ward. Firmly established in Enderby, with over 35 years of funeral service behind him, hugely experienced, capable and a thoroughly nice man. At Richard Ward’s, the team are all united in their passion, so give outstanding Funeral Service in their local community and wider. And Richard feels strongly about caring for his staff as well as his clients, supporting them all to be trained just as he was once supported by the family business he joined when he was a teenager. 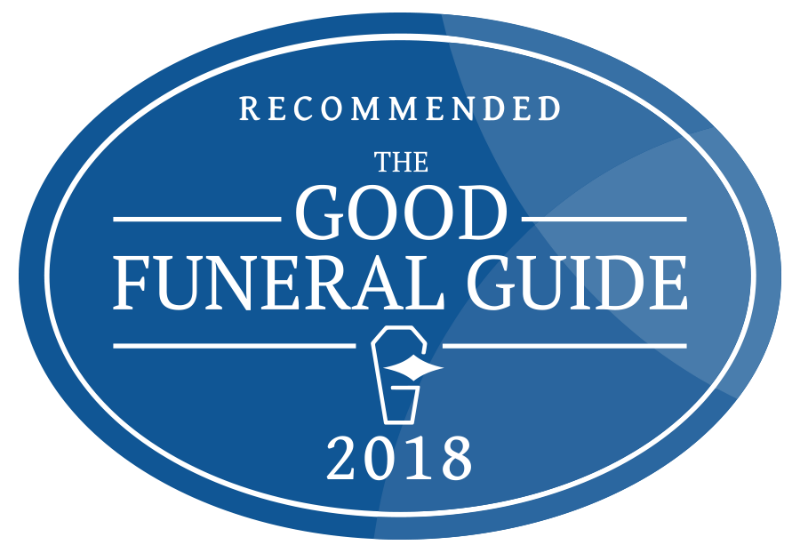 He wants everyone working in his business to be fully capable of doing every aspect of the work involved, and to enjoy being part of the close knit team, and he’s happy to invest in helping Naomi, Claire and James achieve qualifications and become the best funeral directors they can possibly be. Richard lectures and trains worldwide with the ICRC (the International Red Cross). He’s a consultant with a disaster management company for which he is the Director for Europe and the Middle East, and has been in charge of operations on the ground at the scene of many disasters, co-ordinating the teams of experts, physically assisting with identification and other delicate work involved and liaising with countless shocked and bereaved families . As you can see, he’s a very capable and considerable person. Richard’s partner Sharon works within the Funeral Home, taking care of many of the administrative roles and he hopes to see his two young children grow into the business. He’s in his mid-50s but he still plays a mean game of rugby (second row). He also golfs and plays squash. He’s a qualified rugby coach, a longstanding member of the Leicester Round Table and a member of the 41 Club. The premises at The Cross in the pretty village of Enderby (a conservation area) are lovely, a handsome, late 19th Century with huge windows on two sides making the reception and admin area bright and welcoming. The building was built and formerly owned by the local co-operative society – in the latter half of the 19th and early 20th century, ‘The Society’ was very much at the heart of the village, and the building has a solid warmth to it acquired over many years of coming and going in what used to be a shop. Now, although the exterior is preserved to appear as it has been for decades, the premises have been modernised inside and furnished in a comfortable attractive style – a neat blend of the modern and the traditional. Beyond the reception area the ‘office’ part is open plan on a raised level, and a small arranging room and chapel of rest are around the corner, along with the kitchen. loo and mortuary area. Richard has the decorator in every year to keep the it looking fresh – high standards don’t just apply to funerals. Richard’s inclination is towards formality and, here’s the important thing, if that’s what you want then there’s no faulting his turnout. Superb. If, however, that’s not what you want, then Richard will very gladly fall in with whatever dress code you specify. If you don’t want a hearse, then Richard can provide a very suitable, less formal alternative. He even has a JCB Funeral under his belt. Prices here.Your call will always be answered by Richard or a member of his team, no call centre. Only one person will look after you throughout; Richard attaches great importance to continuity of care. Direct cremation: £1659 including crematoriums fees and the doctors’ cremation forms. In the case of a coroner’s case the costs are reduced to £1495.00. Your Funeral Director will come to make arrangements with you at your home or at the funeral home, out of hours, if you wish. He is very happy to act as helper and consultant to anyone wanting to care for their dead person at home “at any level”. Richard is a great believer that “embalming of the body is the best way to ensure a family’s experience of viewing their loved one’s body is as positive an experience as possible. So much do I believe that, I don’t charge for the service as extra.” Richard is a firm believer in legislation within the industry and therefore pays for all of his staff’s training and certification, Naomi is currently training to be a qualified embalmer. If you do not want this service, then of course you don’t have to have it. As you would expect of a funeral director whose life work has been in this area of England, and who also works with the families of disaster victims abroad, Richard is very knowledgeable about other cultures and religions. Good secular celebrants on his books, with whom he maintains a close working relationship. Parking normally available, free, on the street outside. Richard may be steeped in the funeral industry but, as well as being very nice, he is also unusually intelligent and forward looking. Looking to the future he sees evolving consumer expectations and a gradual break with tradition. “I embrace it and am very comfortable with it. I don’t think this should be considered a threat, it is a natural evolution and it is permeating all aspects of the industry. Bring it on!” When it comes to price transparency he is at the forefront. All his charges are listed on his website, together with those of other funeral directors. In addition to great professionalism he offers excellent value for money – see for yourself here. I chose Richard Ward and his wonderful team for my father Bryan’s funeral, and it was the best decision I’ve ever made. They were the most professional and dedicated people I’ve ever met. Everything that I wanted, even the most smallest things, were treated with 100 percent attention to detail. The kindness that they showed to myself and my mother Pearl was outstanding. My Dad was 80 but his attitude was far younger than that, so when he passed away in May 2018 it was the biggest shock that my Mum and I have ever experienced. Neither of us have ever had to put a funeral together before (my Dad previously did any family funerals). So when my Dad unexpectedly passed my Mum and I were thrown into a situation we had absolutely no experience of. I tried my best to learn a lot from the internet, and I came across Richard Ward’s listing online. I liked what I read in the reviews, and he was the only one that I came across who listed his prices on his website. Others don’t do that for obvious reasons, because they don’t want you to know the prices in advance. I arranged a meeting with Richard. Everything seemed very good so I went ahead with him as our Funeral Director. From that moment on everything worked perfectly. His advice was invaluable, and he was very flexible with all the things I wanted to do. My Mum and I went to do the viewing of my Dad the day before the funeral. It was one of the most calming experiences we’ve ever had. My Dad looked so calm and peaceful. Seeing him like that has been such a good and helpful part of our grieving process. On the day of the funeral, which was on 7th June 2018 at Christ the King Church Leicester, every last detail that we had planned was carried out in complete perfection. The bearers did an excellent job as well. I should also make a special mention for Naomi as well. She helped me so much on the phone, by email and in person. No request was too difficult, and she did such a good job with my Dad for the viewing. My Mum and I will always be grateful for that. I know there must be some people in Leicestershire who aren’t close to Enderby who are reading this and thinking they’d rather deal with a funeral director who is closer to them. Well we live six miles from Enderby, so we’re not local, and we’re so glad we did have Richard and his team. No other funeral director could have worked harder or more professionally than Richard and his team. You may have a funeral director closer but wouldn’t you rather know that everything will definitely be done with absolute professionalism and perfection. And when it comes to the bigger companies, sure they may be bigger but that means they can be cold and impersonal too. With Richard everything was very personal, very kind and very friendly. It felt like they treat everyone with dignity and as if they’re members of their own family. My Dad was such a wonderful person. He was so kind and gentle and loving. I literally don’t have one bad memory of him. He would do anything for anyone. When he passed I was desperate to pay proper tribute to him and for him to be treated well. Thanks to the help of Richard I feel that we achieved that. We’ll never get over his loss of course, but I feel very good that we chose the right people to help us through such a difficult and traumatic time. Thank you Richard, Naomi and everyone at Richard Ward.